Whether you prefer Quaker oatmeal, traditional Scottish porridge, the sweet, wheat-based burbara of the Middle East, or savory and spiced Ethiopian genfo, the mushy mixture gracing your breakfast, lunch, or dinner has a long history with hungry humans—possibly reaching back further than civilization itself (and likely even responsible for it). There’s no question that versions of this dish are as widespread and fundamentally human as walking upright. 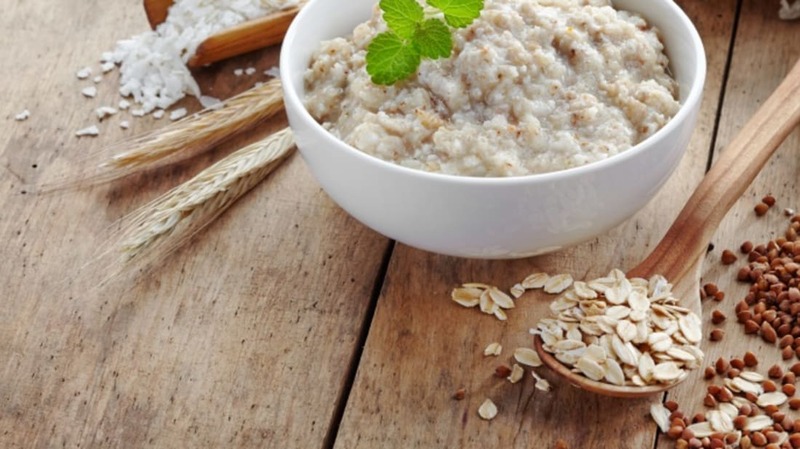 Here’s the appetizing history of porridge, gruel, mush, and even slop. 1. PORRIDGE: THE GOOP THAT CHANGED HISTORY. Porridge-like preparations of grass-borne cereal grains, pseudocereals (like quinoa and buckwheat), and other crops have a long and varied history as meals. Quinoa, for example, “has been used in porridge for more than 3,000 years,” while congee, a rice porridge prepared throughout Asia, has reportedly been eaten in China “since 2500 BC,” BBC News points out. In recent decades, a range of researchers have even found evidence that our preference for hot, cooked mush began earlier than that—as many as 12,000 years ago—and it would go on to spark the Neolithic Revolution, our exit from the Stone Age, and a population explosion that’s still going on. "When farming was invented and cereals were grown, charred, ripened and mashed into a pulp—porridge—it could be spooned into the mouths of infants and was extremely nourishing. And it allowed women to stop breast-feeding after one or two years and so the birth interval halved and the population rocketed." 2. STONE-AGED MUSH-CAKES PAVED THE WAY FOR ALL DESSERTS (AND BREADS). Once human beings had mastered the art of mashing their food, the business of turning the substance into portable, handheld form began. In A History of Food, writer Maguelonne Toussaint-Samat explains that early peoples “progressed to making thick pancakes on hot stones or tiles slipped into the embers of the fire” using various porridge-like mixtures, examples of which have been unearthed by archeologists in Stone Age Swiss settlements. Of course, Mediterranean peoples weren’t the only ones to work out that nutritious mush could be hardened into easily stored cakes. The innovation occurred simultaneously throughout the world—leading, for example, to the wide variety of popular corn cakes, corn puddings, corn breads, and other staple-crop concoctions that have been evolving over cooking fires of the Americas for thousands of years. 3. MASHED-UP CEREAL GRAINS ALSO GAVE US BOOZE. Where there’s wet cereal grain sitting around, there’s bound to be fermentation. Thus, right around the same time early Americans were preparing mush for eating and for hardening into cakes, the very first brewmasters were starting to experiment with the different alcoholic concoctions their respective regions allowed. Beer archaeologist Patrick McGovern, the Scientific Director of the Biomolecular Archaeology Project for Cuisine, Fermented Beverages, and Health at the University of Pennsylvania Museum in Philadelphia, unearthed hard evidence of stiff drinks being brewed (specifically, from barley) sometime between 3400 and 3000 B.C. in Iran’s central Zagros Mountains of Iran. The oldest documented cocktail, however, was concocted thousands of miles from the barley-rich valleys of Mesopotamia and thereabouts; in, 2005 McGovern and his colleagues discovered significant evidence that “a mixed fermented drink of rice, honey, and hawthorn fruit and/or grape” was being mixed up in China up to as early as 7,000 B.C. (right around when researchers believe Egyptian and Mediterranean mixtures from barley and grape, respectively, were appearing). Along with the very telling pottery shards and their up-to-9,000-year-old residue, that dig in China's Yellow River Valley also revealed several intact containers of 5,000-year-old wine—studied by the team and, thankfully, recreated by Dogfish Head Breweries for the sake of modern-day taste-testing. As PBS’ The History Kitchen notes, the latter “heartbreaking line, bravely delivered by the starving orphan Oliver, has touched readers for nearly two centuries,” but also establishes the idea that gruel is “hardly a satisfying meal [and] not very appetizing” (in Dickensian orphanages, at least). This characterization has stuck around, leading to cooked-up spoofs of the famously woeful meal (even ones with imitation gruel that’d fool “9 out of 10 orphans”). Of course, while porridge and gruel do provide ample nourishment to millions daily, Dickens’ point that they’re often stand-ins for a healthy diet isn’t wrong. In 1978, three years after Communism enveloped Cambodia, frustrated farmer Juap Meesat told United Press International reporters that despite promises by the region’s new Khmer Rouge leadership that there would be less economic disparity after the takeover, three years later he and other non-rulers “were still eating rice gruel and salt, and the Khmer Rouge had steamed rice and pork." 5. ...BUT PORRIDGE HAS GRACED MANY ROYAL TABLES, TOO. 6. GRUEL WAS EVEN (BRIEFLY) MARKETED AS A MEDICINE. Most foods have played medicinal roles over time, and gruel—thought to be a reliable home remedy—is no exception. Less dense and more liquified than porridge, gruel can contain any number of ingredients and is one of the easiest foods to digest. Thus, it’s been served to the youngest infants and ill persons of any age throughout history (Ovaltine, for example, could be considered a contemporary gruel product because it's partly derived from malted barley). As The Guardian points out, we’ve been experiencing a “porridge renaissance” over the past several years (perhaps better described as an oatmeal renaissance on this side of the pond). High-profile chefs and boutique cooks are experimenting with putting once-ignored pantry ingredients in their cookpots and blending them with flavors from stewed staples around the world.